LOVE this kettle. It can boil several ounces or just a few. My niece liked it so well, I ordered one for her for Christmas . Had a larger one ,before but this is a good size and will be easy to clean. I have a lot of sulfur in the water. Small enough to keep in my bedroom on cold nights so I don't have to run downstairs for a cup of tea! It is very bad quality. It did not stand well. I would not digest to buy it. Waste of the money. It had a peculiar odor & metal element was inside the pot. Heated water several times & odor didn't go away. We were excited till this item finally came. Thin cheap plastic heated water pitcher! Very small too! It was sent back immediately upon arrival! They sell better metal ones elsewhere. Caution if you are thinking about buying this item! 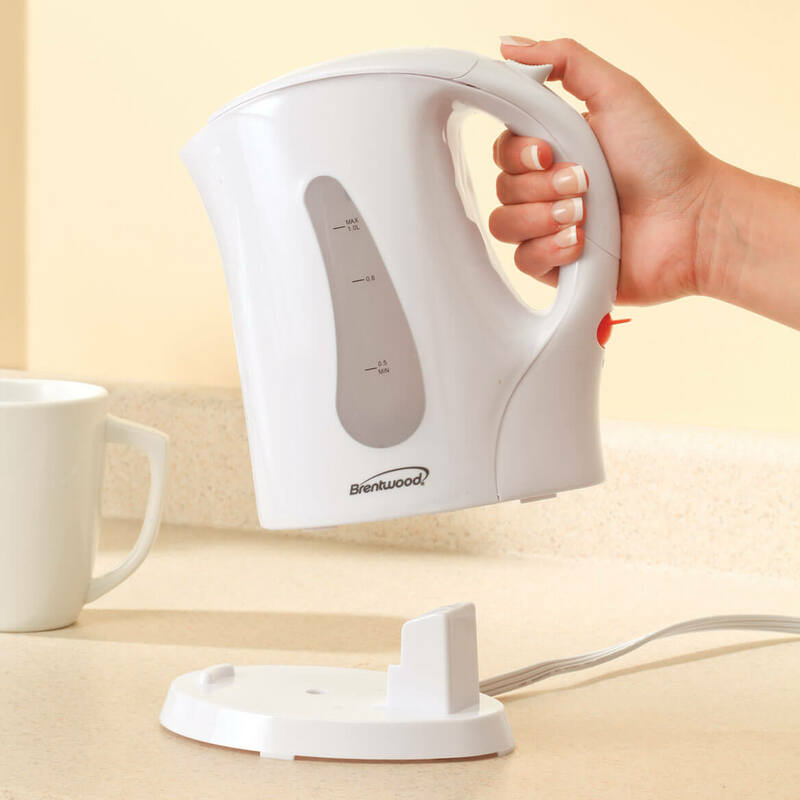 My daughter has the Cordless Kettle and it heats the water in seconds! Great price on this. Because it was a new item, and new to me. I thought it would be convenient to use. Especially since it shuts itself off when heated....Just wanted to try it out. I like the way it is made. Our daughters think ours is great so we are getting one for each of them. This one is for my niece, who liked mine! My sister has a similar one and its amazing for many things and its fast. Not having to worry about the cord is a plus. Great for a quick cup of coffee, at my house that's HUGE. What is the capacity? How many ounces or cups? BEST ANSWER: capacity is 1 liter which is just an ounce or so over 4 cups or 33 ounces total.It does take a bit of time if you fill to capacity. But works great for 1 or 2 cups. BEST ANSWER: Thank you for your question. Yes the kettle is BPA free. We hope this information will be of help to you. Thank you for your question. 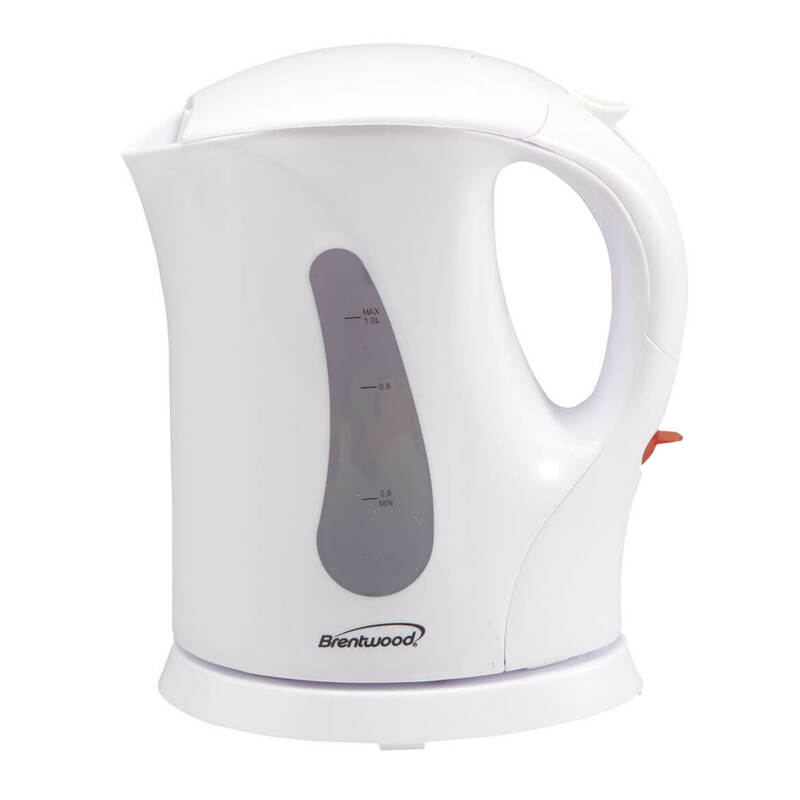 Yes the kettle is BPA free. We hope this information will be of help to you. Maybe I need to Know what BPA free stanza for 1st!! !